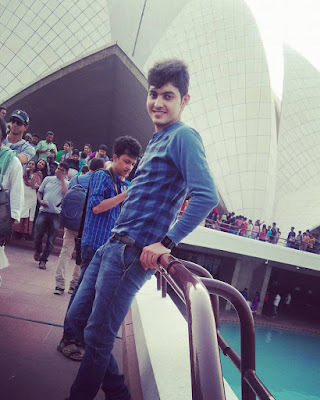 Here is a glimpse of my recent visit to Lotus Temple which is located in Delhi. This temple is built in the shape of a lotus flower and it serves as the Mother Temple of the Indian subcontinent now that has become a center of attraction in Delhi. It was opened in 1986 and the height of this temple is 34m. This temple also known as the Bahai House of Worship. Most importantly this temple is a creation with one of the best architectural marvels in the country and it's a most beautiful religious building in this world. It's a must visit place and a I really enjoyed being there.